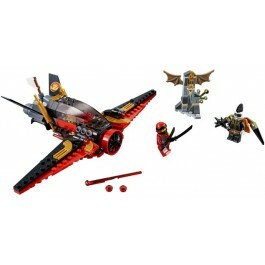 Pilot LEGO® NINJAGO® 70650 Destiny’s Wing with ninja Kai and battle Jet Jack for the Dragonbone Blade! 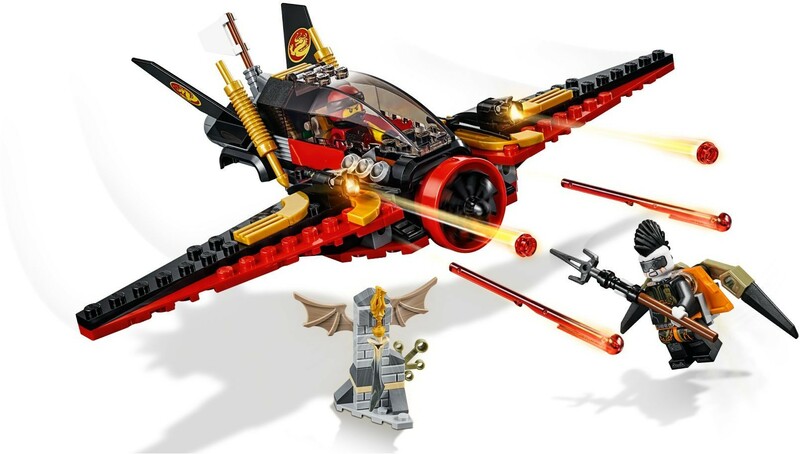 Destiny’s Wing features an opening minifigure cockpit and is weaponized with both spring-loaded and stud shooters. 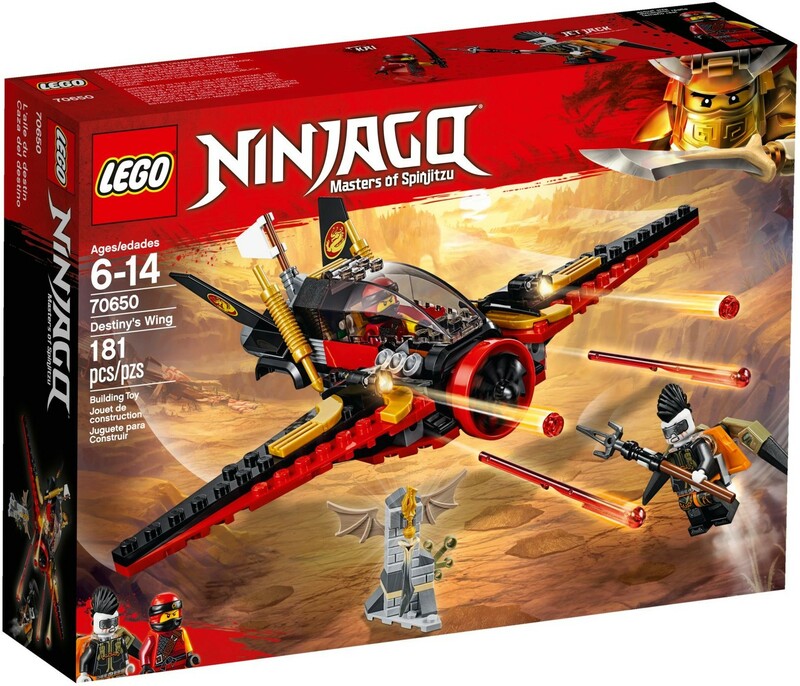 This set also includes a pedestal to hold the Dragonbone Blade, plus 2 LEGO NINJAGO minifigures with weapons and Jet Jack's jetpack to bolster the role-play conflict.